No abducted schoolgirl rescued yet, Yobe governor claims – Royal Times of Nigeria. 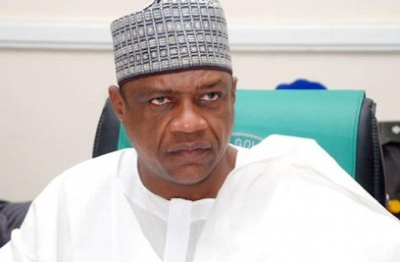 The Yobe state Governor, Ibrahim Gaidam, has faulted the claim that the Nigerian Army rescued some of the girls of the Government Girls Science Technical College (GGSTC), Dapchi, Yobe state who were abducted by Boko Haram terrorists on Monday, Vanguard reports. The governor who visited Dapchi town, however, said, contrary to the claim, that no girl has been rescued yet. The Boko Haram terrorists had attacked the girls’ college on Monday and abducted many of the girls. While 48 of them were said to have been rescued by the army, another 111 of them were reportedly still missing after the attack. A statement signed by Abdullahi Bego, the Director-General, Press Affairs to Governor Ibrahim Gaidam, on Wednesday, claimed that some of the girls were rescued and were then in the custody of the Nigerian Army. According to the statement, “The Yobe State Government hereby informs the public that some of the girls at Government Girls Science Technical College (GGSTC) whose school was attacked by Boko Haram terrorists last Monday have been rescued by gallant officers and men of the Nigerian Army from the terrorists who abducted them. “His Excellency, Governor Ibrahim Gaidam, who is very grateful for the gallantry and hard work of the officers and men of the Nigerian Army involved in the operation, is monitoring the situation closely and will make a statement in due course” the statement said. However, after visiting Dapchi community on Thursday, Governor Gaidam faulted the claim that the Nigerian Army rescued some of the girls. He said, In fact, that none of the abducted girls has been rescued.